There are special members in our club. Hams who do unique and special things. This section is to let you know why they are so special! 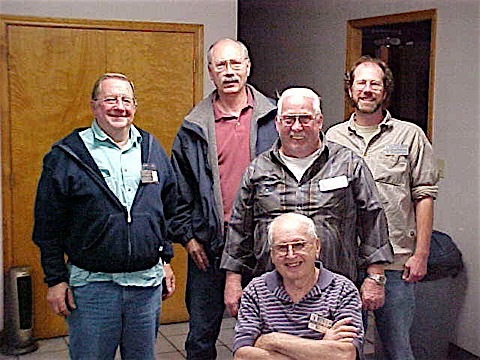 Mike, NG7S at his last club meeting in Flagstaff before moving to Washington in the summer of 2007.
served as a club officer on several occasions. 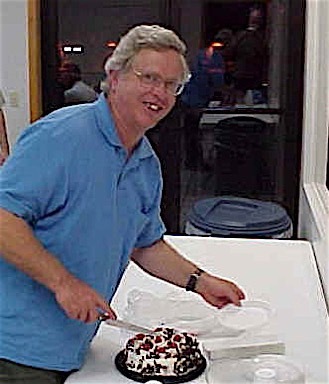 Art, NN7A at his last club meeting prior to moving to Colorado. Art is famous for his DXpeditions to V31 land on several occasions to activate various IOTA islands. Bob NF7E is famous. 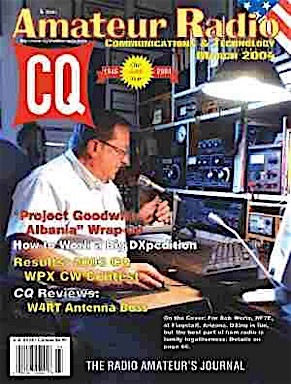 He made the cover of CQ Magazine. How many hams get to do that? Bob also makes a very unique hand key. 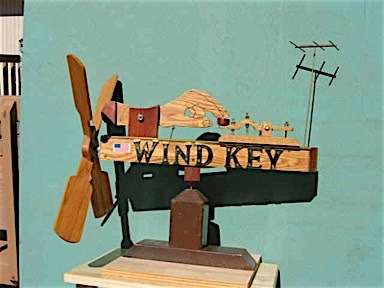 Bob's Wind Key. If you want copies of the plans to make your own, get ahold of NF7E. 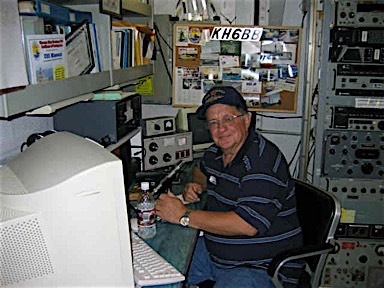 Bob NF7E operating from the Battleship Missouri from Pearl Harbor Hawaii in 2006. 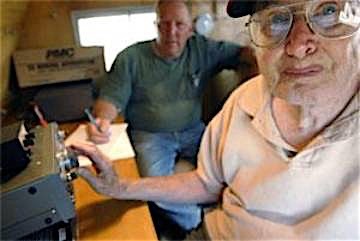 Bill Schuchman, right, and Rich Ferguson contact other radio operators using morse code, Saturday, as part of the Amateur Radio Field Day. and portable antennas, it is not only a competition to make the most contacts, but a drill for emergency communication skills used in disaster situations. 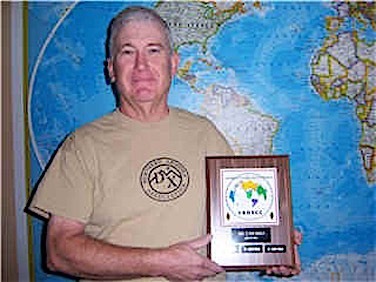 Jim, N6KZ holds his ARRL 5-Band DXCC plaque (with the endorsement plates for 12, 17, and 30 meters). month (using his LOTW credits) and it took just over a month to arrive. in the radio room of the ship. 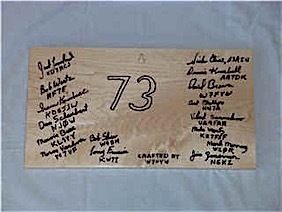 Made by W7FYW, the plaque was signed on the back by each of the NADXA members. 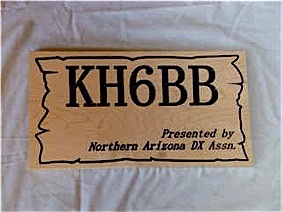 The plaque states "Presented by Northern Arizona DX Assn". 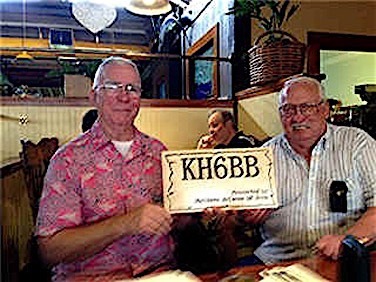 K1ER, the president of the USS Missouri Radio Club, accepted the plaque.